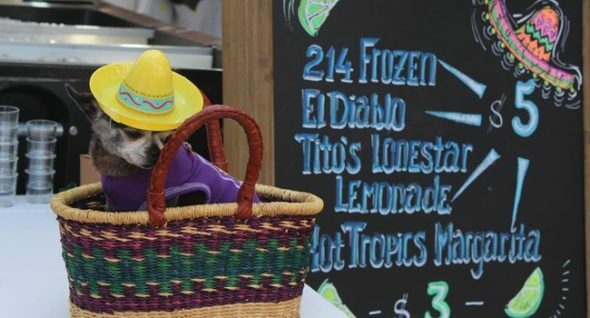 Cocina 214’s annual “Running of the Chihuahuas” supports local charities. And offers dog lovers the chance to combine two amazing things: dogs and margaritas! 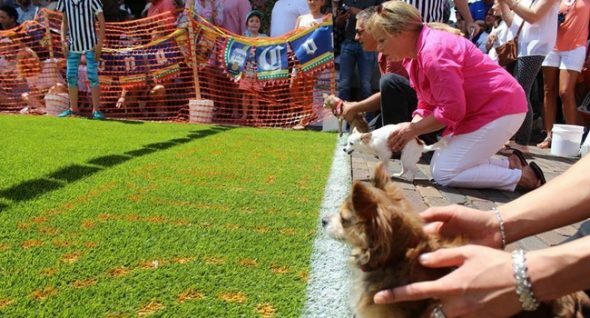 Central Floridians who love dogs — and margaritas — may want to head to the beautiful burg of Winter Park next weekend! The Park Avenue are of this tony town is well known for its upscale shopping, dining and entertainment options, some of which can get kind of quirky. And so when Lambrine Macejewski, partner, co-founder and business manager of Cocina 214 (a contemporary Tex-Mex kitchen) first began the restaurant’s Cinco de Mayo tradition, lovers of the mini but might Chihuahua came from miles around to test their Chi’s mettle while enjoying a day-long block party. 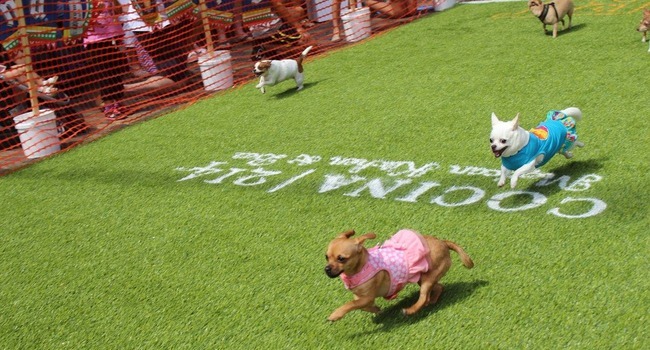 “Cheer on your favorite chihuahua on May 7th – the race starts at 11 a.m. with our block party featuring a live DJ, Corona giveaways, Tito’s sampling and a photo booth,” Majewski encouraged local Life With Dogs readers. “If you’re in the Orlando area and have a Chihuahua, we’re currently accepting race registrants on our website with a $15 donation,” she told Life With Dogs. Those interested can register HERE. Time: Race begins at 11 a.m., registration opens at 9:30 a.m.
Do Rainy Days & Mondays Always Get You Down?